Imagine sitting with the Dalai Lama in his private meeting room together with a group of world-class scientists and philosophers, grappling with age-old questions of compelling contemporary urgency: Why do seemingly rational people commit acts of cruelty and violence? What are the root causes of hatred, greed, and delusion? Can we learn to control the emotions that drive our destructive impulses? Organized by the Mind and Life Institute, this rich encounter brings together cutting-edge research in brain science, education, and psychology with the most sophisticated Buddhist practices for transforming negative emotions. 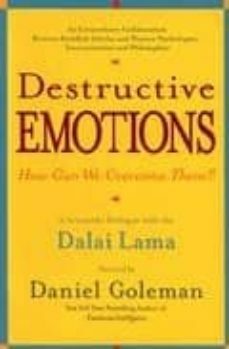 Goleman reports on breakthrough experiments that confirm Buddhist wisdom, bringing the ideas alive through the play of personalities and the Dalai Lamas surprising sense of humor. The hardcover sparked major newsfeature coverage, and the paperback will be updated with the latest research findings.